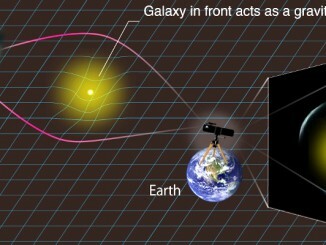 Emergent gravity is a new theory that might explain the curious motions of stars in galaxies. 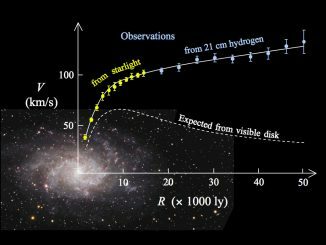 It predicts the exact same deviation of motions that is usually explained by invoking dark matter. Professor Erik Verlinde, renowned expert in string theory, publishes a new research paper today in which he expands his groundbreaking views on the nature of gravity. 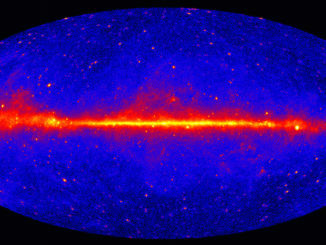 Galaxy clusters are enormous collections of hundreds or even thousands of galaxies and vast reservoirs of hot gas embedded in massive clouds of dark matter. 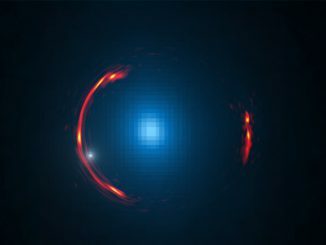 To learn more about clusters, including how they grow via collisions, astronomers have used some of the world’s most powerful X-ray, optical and radio telescopes. 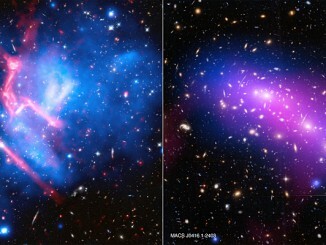 The name for this galaxy cluster project is the “Frontier Fields”. 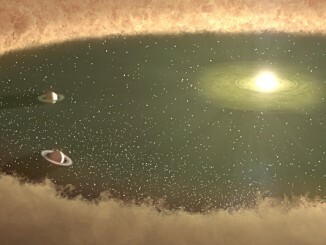 Stanford University researchers announce evidence of an exoplanet being born that could move us one step closer to understanding the process of planet formation around other stars. 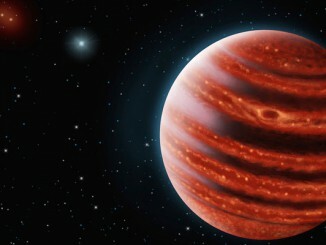 The alien planet, called LkCa 15 b, orbits a star 450 light-years away and appears to be on its way to growing into a world similar to Jupiter. 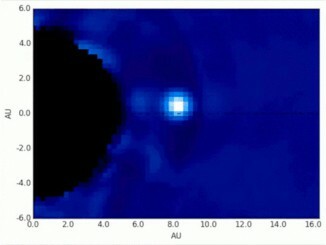 Around 37,000 citizen scientists combed through 430,000 images to help an international team of researchers to discover 29 new gravitational lens candidates through Space Warps — an online classification system which guides citizen scientists to become lens hunters, giving the public a chance to make their own scientific discoveries. 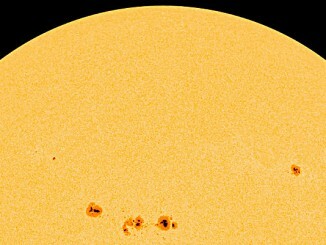 The Sunspot Number, the longest scientific experiment still ongoing, is a crucial tool used to study the solar dynamo, space weather and climate change. It has now been recalibrated and shows a consistent history of solar activity over the past few centuries. The new record has no significant long-term upward trend in solar activity since 1700, suggesting that rising global temperatures since the industrial revolution cannot be attributed to increased solar activity.